Is this a record? 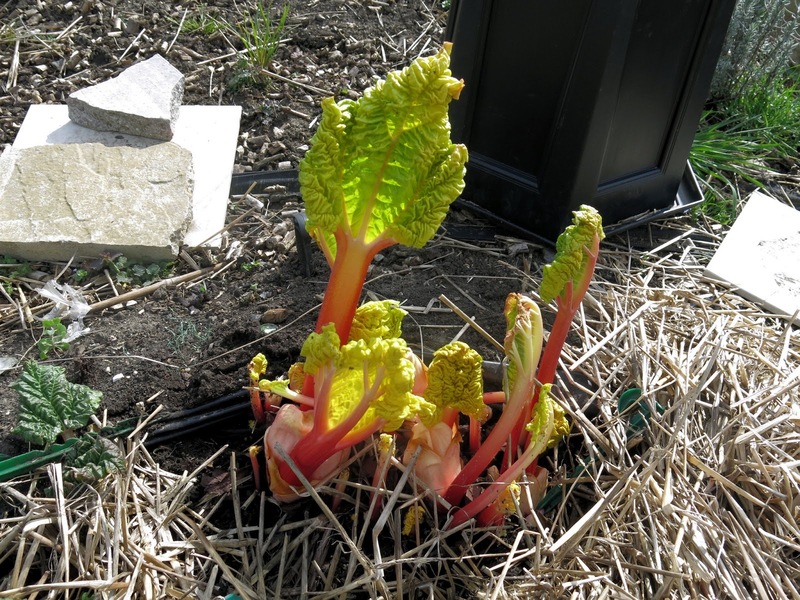 Possibly the slowest forcing rhubarb in the country? The buckets went over the rhubarb, to exclude all light and to force the nascent stalks into early growth, way back in January. Today, after weeks of obsessive checking, the stems were finally long enough to cut and eat. 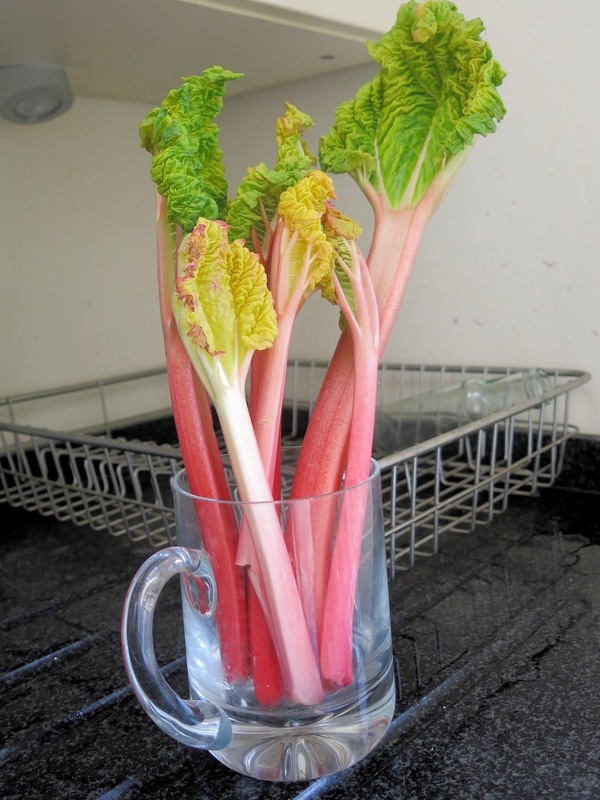 In The Independent, Lily Vanilli says "the first lovely pink crop of forced rhubarb has been and gone". Not on my allotment it hasn't. As well as the darkness, which makes the stems grow long and slim in search of light, covering the rhubarb and packing it with straw also makes it warmer inside its insulated bucket, aiding early growth. In most years, anyway. This year, the prolonged cold has evidently stopped any growth, just as the suddenly warmer weather this week has set the stalks off. I certainly hadn't imagined it would take three months to harvest any forced rhubarb - usually by mid-April we've started on the 'normally' raised main stems. It was worth the wait though. Rather than go the whole hog with a crumble or fool, I poached the stems in a light syrup infused with half a vanilla pod and a couple of cardamoms, and served with creme fraiche (vanilla ice cream for the nipper).